Established in 1999, the AXENT Group is a leading manufacturer of sanitary technology and a global supplier of shower toilets. To strengthen customer relations and extend its global reach, AXENT opened its US office in 2003 and developed a European base in Switzerland in 2008. AXENT’s product portfolio includes leading-edge shower toilets, high-quality sanitary ware, bathroom furniture and bathtubs as well as innovative performance technology for bathroom products. The company’s key to success is a combination of industry knowledge, in-house expertise and continuous research into new technologies. With 300 engineers in its research and development center, alongside 1500 employees, the AXENT Group is well positioned to achieve its vision to become the world’s most innovative and reliable provider of sanitary technology. Guangdong Foshan Shiwan Eagle Brand Ceramics Co., Ltd. is a large-scale international enterprise specialized in the R&D, production and sales of ceramic tiles. For more than 44 years since its establishment in 1974, Eagle has been a leader in the Chinese ceramics industry. Since 1998, Eagle Group has been participating to the renowned ceramic fair Cersaie annually held in the Italian city of Bologna: the Group has been representing the Chinese ceramics industry for 20 consecutive years, leading the internationalization process of the Chinese ceramic market. Eagle Group has also been one of the earliest Chinese brands that managed to successfully enter the international arena and whose products have been exported to more than 100 markets, such as the United States, Italy, Malaysia, Brazil, South Africa (just to mention a few) and whose trademarks have been registered in 10 regions such as Hong Kong, Taiwan, South Korea, Singapore, Thailand, Jordan, Lebanon, Oman, UK and Spain. Beijing Easyhome Investment Holdings Group Co., Ltd (Easyhome) was established in the year 1999 and currently boasting itself to be the number 1 home renovation and improvement enterprise, as well as building supply supermall owner /operator in China. It has enjoyed a high reputation of providing top notch brands and its in-house diversified home furnishing brand assortments, together with its determined commitment for product quality assurance to the consumers. Easyhome has been recognized as one of the Top 10 business brands in the capital city of Beijing for 12 years running. It has gradually reinvigorated itself into 4 major business categories. i.e. Home furnishing, Finance, Consumer Products, Supply Chain Logistics. Cooperativa Ceramica d’Imola established in 1874 is Italy’s oldest worker/producer cooperative. It is a unique case of industrial historiography that has succeeded in preserving its traditions and blending past and present thanks to its continuous combination of know-how and new research. Today it is a leading group in the market for flooring and coverings, a symbol of products Made in Italy and around the world. Cooperativa Ceramica d’Imola markets products under the following brands: Imola, LaFaenza and Leonardo. GuangDong Xin Zhong Yuan Ceramics Co., Ltd. Founded in 1984, GuangDong Xin Zhong Yuan Ceramics Co., Ltd. (Xin Zhong Yuan Ceramics) is one of the well-known ceramic enterprises in China that comprises of scientific research, production and sales. Their headquarters are located in “China Ceramic Town” – Foshan and 10 large modern ceramic production plants in mainland China. Xin Zhong Yuan Ceramics is one of the largest production scales in the industry among the world and one of the largest export volumes of ceramic enterprises in China. The brand has a comprehensive product line. It produces and sells antique tiles, full-body marble, micro crystal, polished tiles, compound stone and other categories at over 1000 domestic sales outlets and 120 overseas market networks worldwide. Since 2015, Xin Zhong Yuan Ceramics has joined Guangzhou Design Week and launched the first reality show “Chinese Design Elites”. The focus is on the design and quality, which makes for a successful and remarkable competition in China. “China Design Elites” has made great noise in the design industry and discovers various potential young, elite designers for the profession. Founded in 1999, IMOLA China (Zhuchao Group) specializes in the commercialization of real estate and decoration values such as distribution, technology and design culture, which lead to Imola Ceramics becoming China’s first brand of imported tiles. Through a comprehensive sales network, IMOLA China provides supports to over 100,000 professional designers and has served more than 20,000 villa-resident households. It spreads the high quality of Italian products to all over China. 15 years, IMOLA ceramics has been committed to Chinese consumers to provide the most authentic Italian tiles, through the modern logistics system to high-quality services for Chinese consumers to bring Italian art life experience. At present, its market share has occupied more than 50% of China’s imported tile market, and for 8 consecutive years to maintain the tiles in China market: the market share of the first share, the first sales, and marketing services ranked first, the lowest customer complaints rate. According to China Customs data show that Italy IMOLA ceramics has become China’s largest brand of imported tiles from Italy, nesting investment group daily cargo storage capacity of 800,000 square meters. Now IMOLA China sales network has covered more than 100 cities nationwide, a total of more than 150 stores, more than 4,000 employees. Future IMOLA China will continue to adhering to the “create a beautiful Habitat, enjoy a happy life” business vision, to meet the consumer Italian refined, elegant, artistic life pursuit. Jangho Group Company Limited (“Jangho”), founded in 1999, is a large- scale multinational enterprise, headquartered in Beijing, previously named as Beijing Jangho Curtain Wall Company Limited. Taking “for people’s living environment, health and benefits” as its mission, Jangho actively explores business in the fields of green architectural decoration and health care by sticking to the strategy of “dual-core business, diversified development”. Up until now, with many top brands, namely JANGHO, Sundart, Gangyuan, SLD, Vision and Zeming, the business of Jangho has extended to more than 20 countries and regions worldwide, making it play a leader role in the stage of curtain wall, interior decoration, and health care. In addition, Jangho has been honored with many qualifications and glories, such as National High-tech Enterprise, the member of the first batch of National Intellectual Property Enterprises, the National Model Enterprise in Technology Innovation, National Technical Center of Enterprise and Post-doctoral Research Center with National Recognition, etc. It often appears on the lists of China Top 500 Listed Enterprises and China Top 500 Private Enterprises. Founded in 1873 and headquartered in Kohler Wisconsin, Kohler Co. is one of America’s oldest and largest privately held companies comprised of more than 33,000 associates. With more than 48 manufacturing locations worldwide, Kohler is a global leader in the manufacture of kitchen and bath products, engines and power systems, premier cabinetry and tile, and owner/operator of two of the world’s finest five-star hospitality and golf resort destinations in Kohler and St. Andrews, Scotland. Kohler Co. and each of our associates have the mission of contributing to a higher level of gracious living for those who are touched by our products and services. Gracious living is marked by qualities of charm, good taste and generosity of spirit. It is further characterized by self-fulfillment and the enhancement of nature. We reflect this mission in our work, in our team approach to meeting objectives and in each of the products and services we provide our customers. L&D Ceramics Brand was founded in 2003 and is the major brand of Jiamei Company of Wonderful Group. L&D Ceramics follows the exploration spirit and artistic thought of the Renaissance, seeks for the cultural origin from the decoration art, discovers the design inspiration from home life, and searches for the perfect combination of home decoration and humanism. L&D Ceramics has nearly 1000 authorized stores all around Chinawith products exported to foreign markets such as Europe, America and Southeast Asia. L&D Ceramics integrates the latest decoration materials and modern design thought, and has been reputed as “the Master of Life Design” as the sample of highest design aesthetics and artistic connotation in the building ceramics field. Precise in product and focus on value, L&D Ceramics advocates the perfect combination of art and life, pursues the visual effect and shows the life value and connotation of the possessor. From true-life to abstract, from colorful romance to precise delicacy, from the massive of classic to the concise of post-modern, from comfortable liberty to the noble luxury, L&D Ceramics is full of the styles of life and enlightens the thinking of modern people to home culture and artistic life. 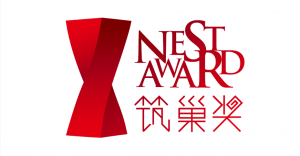 Nest Award was initiated in 1999, and collaborated with China Building Decoration Association under the government system for six years. Later, Nest Award established a committee, oriented by scholars and researchers focused on interior design, specifically, residential. The Award is a leading prize in the interior design circle, considered to be China’s Pritzker Prize. Around 5,000 global participants submit their work each year, with support from Chinese scholars, designers, and other collaborations such as Beijing Design Week, Brera, and Politecnico di Milano. Nest Award specializes in guiding and supporting young designers, helping them to succeed in the profession. Theodore Alexander is the world’s premier high-end home furnishing manufacturer. Our comprehensive collections consist of several thousand designs, providing traditional, modern and eclectic furniture and accessories to our customers. Theodore Alexander has become eminent in its field – renowned as a unique brand embodying quality in design and craftsmanship. To us, quality is paramount and we aim for excellence in every single piece. We strive for innovative designs and create furniture to last lifetimes. Founded in 1996 by the enigmatic Paul Maitland Smith, an industry legend who pioneered high end furniture production throughout Asia for the past 25 years, Theodore Alexander has now become one of the world’s largest high end furnishing manufacturers. Our reach is global through a retailer network that spans far and wide. Established in 1922, Treca has been concentrating on exquisite craftsmanship and providing extraordinary sleep to customers for more than 90 years. Treca is recognized as the national treasure level mattress brand in France. Treca pays high attention to each process from raw materials to finished products manufacturing. Adhering to the unique craftsmanship to make the exquisite mattress through cutting, sewing, quilting, upholstering and tape edging, etc., Treca has long been recognized as the first brand of mattress in Europe. Treca has been selected by presidential suites of luxury hotels around the world and was also the partner of the 2014 French Open. We aim at providing every customer the experience of sleep artwork since 1922. The legend goes on, the craftsman will continue to serve people and solve sleep problems. Today, you do not have to go abroad to the world’s best and most expensive hotels to find a good sleep. Having Treca, you will have the most comfortable bedding at home and enjoy your private ultimate deep sleep.